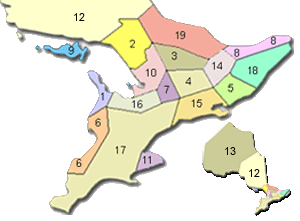 If you have a Southern Georgian Bay Region Business and wish to advertise on this Ontario Cottages page, please contact us below. Midland, Penetanguishene, Tay, Tiny and surrounding areas. With an abundance of waterfront property and peaceful surroundings this area is a cottager's dream.  From 9 & 18 hole courses to mini-golf, there's something for everyone.